This article compares the morphological structures of two parks: Disneyland and Yuanmingyuan, the “summer palace” of the emperor of China. Despite obvious differences, the two parks were intended for the entertainment of the sovereigns of their respective countries — the emperor of China and “the people” in the case of the United States. Both parks were also designed to bring ontological reassurance to the sovereigns of two empires that only recently had attained their hegemonic, imperial, status. The parks provided a vision of a universe organized according to each sovereign’s specifications. The need for reassurance is reflected in the morphology of the two parks: the use of techniques of dislocation and idealization; the model-making and the use of thematized environments. A study of the morphology of the parks is for that reason a study of imperial ideology. Darwin is a city in the Northern Territory of Australia expecting a ‘boomtown’ scenario due to significant natural resource developments in the Greater Darwin area. The experience of ‘booming’ has a range of impacts upon communities. Housing is a key area of impact, particularly for the most vulnerable members of a population, who may not reap the benefits of the ‘boom’. In Darwin, new resource developments will begin in the context of record high house prices, high rents and high homelessness rates. This literature review explores what is known about the housing-related impacts of boomtowns and considers the likely housing-related impacts of a boomtown scenario in Darwin. While the city’s diverse economy and population size may provide some insulation from severe boomtown impacts, housing availability and affordability is likely to be negatively impacted. The implications of this for the most vulnerable members of the greater Darwin population require careful consideration. Small area estimates on where services for potential Medicare beneficiaries may be needed, could provide unique research opportunities for improving the healthcare quality of the ageing U.S. population. 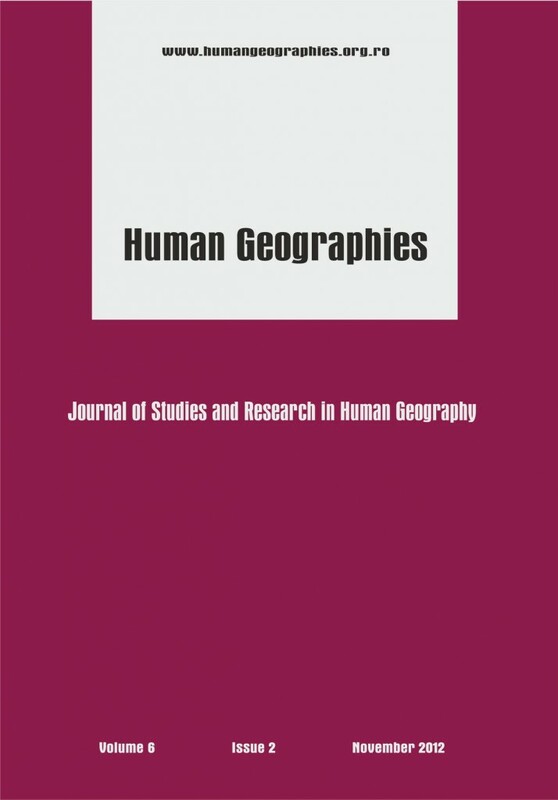 The project described in this paper validates this argument by contrasting the spatial clustering results from an analysis that uses large geographical units with proxy measures to the results from an analysis using small area geographic units with direct measures. Large-area proxy measures come from county-level U.S. Census Bureau 2010 cross sectional data on the number of people aged 65 and over. Medicare beneficiary estimates in 2007 with Primary Care Service Areas (PCSAs) make up the small-area direct-measure analysis. Findings show that the latter offers a more geographically defined appraisal of where healthcare quality efforts should focus to aid potential Medicare beneficiary populations. Because the healthcare quality of an aging population will only increase in importance as their numbers grow in the US, further research is needed. The aim of this paper is to analyze the distribution and dimensional structure of the farms depending on their legal status, and the owners’ perceptions on the current status. The main research methods used in the study were: direct observation method, digital mapping, statistical analysis, surveying (semi-structured interview) and SWOT analysis. The Boianu Plain is by excellence an agricultural region. Its arable land is worked/operated by three main categories of farms: individual holdings, family farming associations and farming societies. Production obtained within individual holdings is always lower comparative to family farming associations and especially to farming societies. Partnership helps farmers to join their technical and financial means in order to increase the annual production and, implicitly, gain profit. In this respect, the farmers’ perception resulted from the semi-structured interviews is a good evaluation instrument. The most critical issue at local level is making individual farmers aware of the benefits of family association and/or farmland leasing. The SWOT analysis reveals the possibility of an efficient management as driven by the way that the existing opportunities are able to mitigate or completely remove the weaknesses. The Boianu Plain has a very good agricultural potential in a highly favourable environment, but poorly capitalized. The paper comprises the concept of environmental governance, and the role played by institutions and citizens particularly youth about the environmental problems complaints. It represents an initial attempt to construct a fresh approach to the field of environmental governance by considering youth complaints as an important source of information for the management authorities. Local organizations and institutions are considered in order to collect information about the number and types of complaints in context of environmental problems. Moreover, the resolved and unresolved complaints data is also collected through Tehsil Municipal Administration complaints cell and particular actions are analyzed. The complaints received from citizens are categorized on the basis of age structure. Results clearly show the interest of youth regarding environmental problems as well as the local authorities response of these complaints are recorded in the through textual interviews results. The complaints received made it very easy for the authorities to analyze the environmental problems at union council level and resolved complaints shows the attention of local authorities towards these problems. Youth as being educated and most active part of the community can play its vital role in this process. Youth, by its participation can make this complaint process as an important avenue for community participation in environmental governance and policies. The paper gives a fresh idea of youth involvement by analyzing their interests in the city environment related problems. It gives an approach of developing collaboration between youth community and municipality for better planning of the city problems.